The Bobcaygeon Curling Club and Recreational Facility is the third-oldest curling club in Ontario. 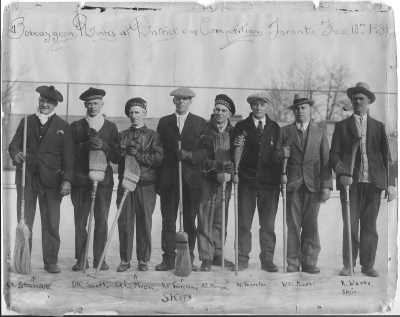 Some residents of the Village of Bobcaygeon had become very enthusiastic about the game of curling and in 1884 a group of avid curlers established a charter for “The Bobcaygeon Skating and Curling Club”. On January 26, 1885, the shareholders accepted the building from the Contractor; a 50 feet by 40 feet wood structure at a cost of $750. 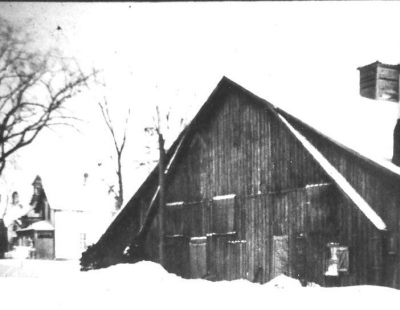 In the early years, curling and skating were conducted simultaneously at the skating rink located beside the present Brewers Retail Store. On any given Saturday afternoon, spectators could watch ‘figures’ being performed on half the ice, while on the other side of a wooden divider, two sheets of curling ice were occupied by vocal sportsmen. 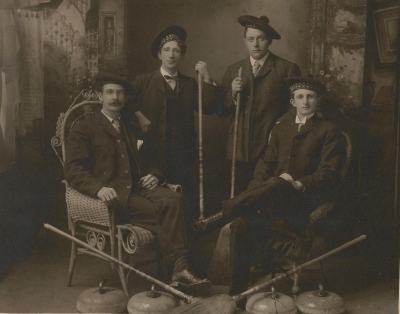 The games were 18 ends and curlers had their own cast iron stones that weighed 60 pounds each (40 pounds today). In 1955, curling and skating moved into the newly constructed Bobcaygeon-Verulam Community Centre with artificial ice; one less thing to worry about. In 1976, Members of the Club were given a grant from ‘Wintario’ for the erection of a new curling club facility at our current location on the fair grounds. It was officially opened on August 9, 1978. 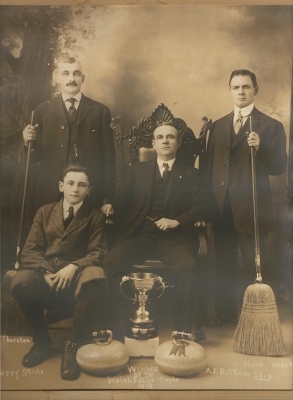 On April 16, 1981, the Club took a new name to reflect new circumstances – The Bobcaygeon Curling Club and Recreational Facility. Among the Club’s proudest possessions on display in the Lounge is the original ‘Letter Patent’, dated December 26th, 1884.